ProCore? 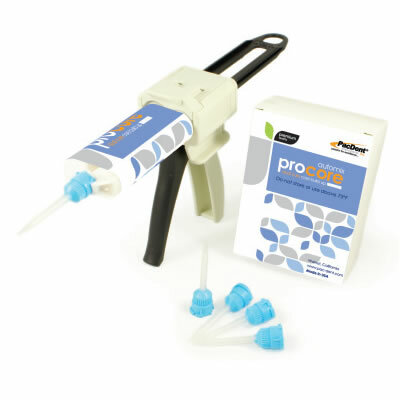 Dual Cure Core Build-Up | Pac-Dent, Inc.
Pac-Dent's ProCore' is an automix, dual-cure, fluoride-releasing, resin-composite based core material designed for easy fabrication of core build-ups. The material features superior stackability for ease of use. Dual curing and quick setting eliminate time consumed layering the materials. The fluoride release feature helps reduce secondary caries, and the superior strength allows the material to cut and wear like dentin. ProCore' is highly radiopaque.